I just wanted to let you know how much I enjoyed your interview yesterday. I am an avid traveler, but outside of Istanbul (and hopes for Morocco), I had planned to avoid the Middle East. Your interview changed my mind and I will be sure to use your company when I go. Getting this kind of feedback made my day, made my week, made my month. This is what I feel is my mission in life — what I’m meant to do. To change perspectives. To get people out traveling. And to help women understand the Middle East better and see that’s its a great place for women to travel, not the area of the world to be afraid as the media portrays it. One traveler at a time. I love helping other travelers, especially women travelers, fall in love with the Middle East and North Africa. To show them these countries through my lens to help them see passed all the fear that is projected about this region. I get so stoked when I am able to do just that. 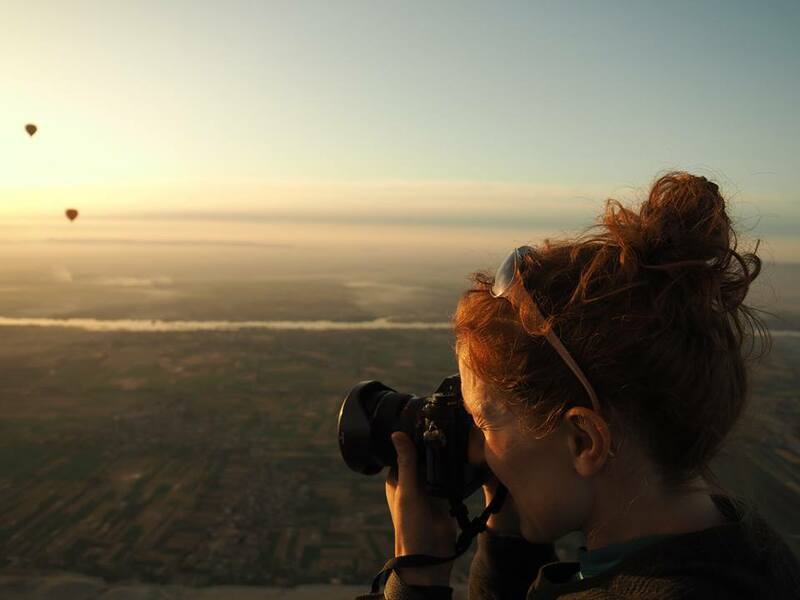 It fuels and drives my work and inspires me to keep doing what I’m doing — teaching about travel to the MENA region, taking travelers there on tours and photographing the region. I case you missed the article on my Zero to Travel podcast, you can listen to it here. Soaring high above Luxor’s West Bank, Egypt at dawn. Photo credit: James Rowe. ©️ 2018 ArchaeoAdventures LLC. All Rights Reserved.